Come and walk-in every first Wednesday of every month from 3-5 pm in the spring, summer and fall, and from 2-4 pm in the winter. During the open community day, Connolly Ranch welcomes old friends to visit and new friends to discover the ranch for the first time. Once a month, the ranch will be open for the public to visit the garden, relax in the grove, take a hike on the woodland trail and see the animals—on your own, or bring your family and friends. Interested in becoming a Connolly Ranch Community Partner? 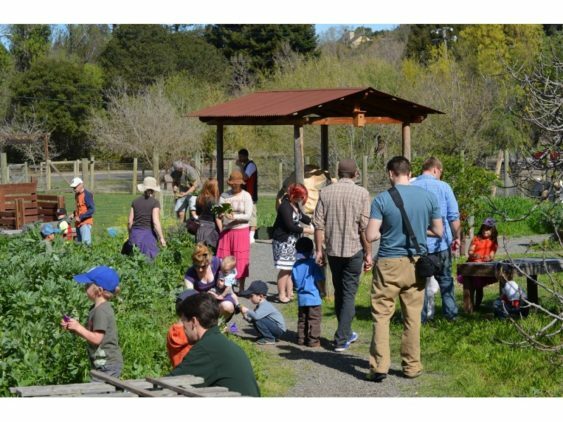 Community partners interested in hosting interactive activities at future Walk-in Wednesdays or other community events should email: hylah@connollyranch.org.